Many users want to protect their data including photos and files from other persons. They can be you family members, your children or your colleagues. Everyone has some personal stuff in one’s life. So if you are looking for a method to protect your files and photos, you need to download an app for this. 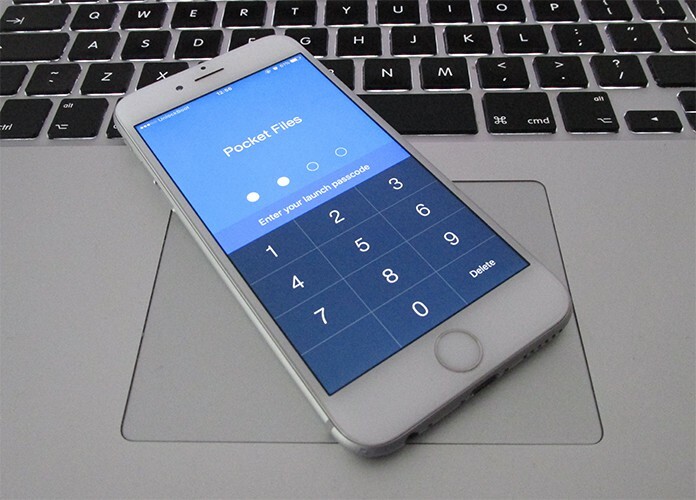 Here is a guide on how to lock photos on iPhone or iPad using Pocket Files app. 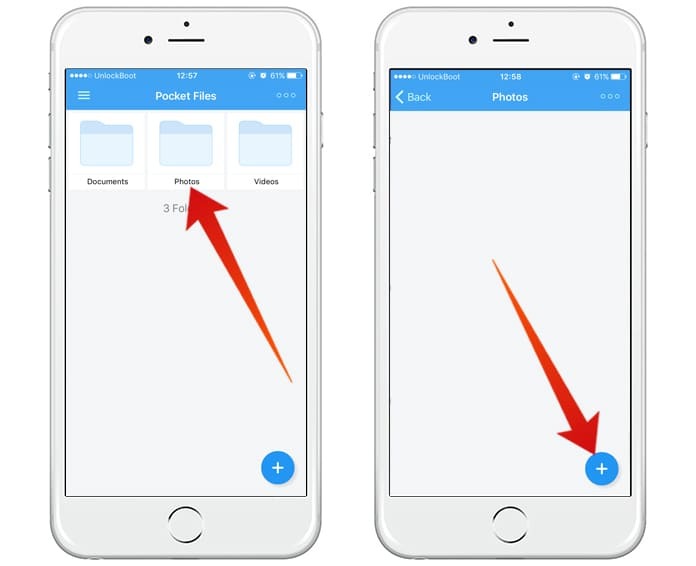 As iOS doesn’t provide a built-in way to protect and lock photos on iPhone, you need to install an iOS app named Pocket Files. This app is available on the App Store, and you can download it for free. So if you are ready to protect your files and photos, have a look at the method below. Initial of all, download the app from the App Store and launch it. 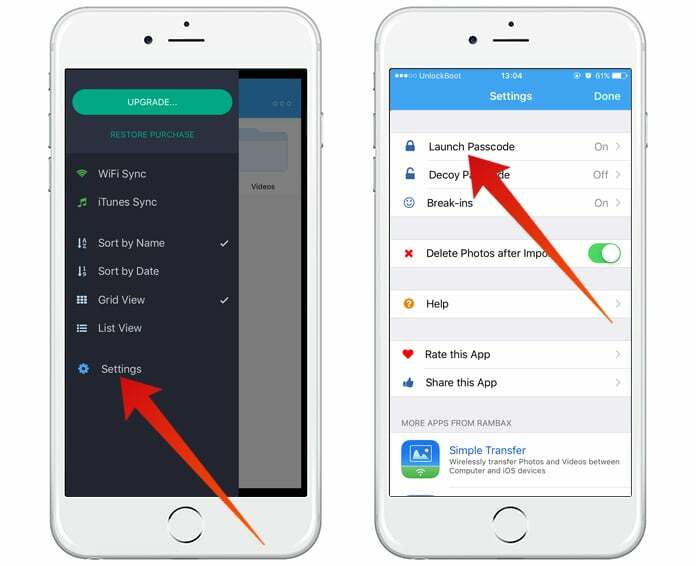 You can easily add photos to the app, and then you can protect them using a password. Step 1: Open the app on your iPhone or iPad. Step 2: You will see your system folders here including documents, files, photos, and videos. Step 3: If you want to add a folder in the app, you can do it by tapping the + icon. 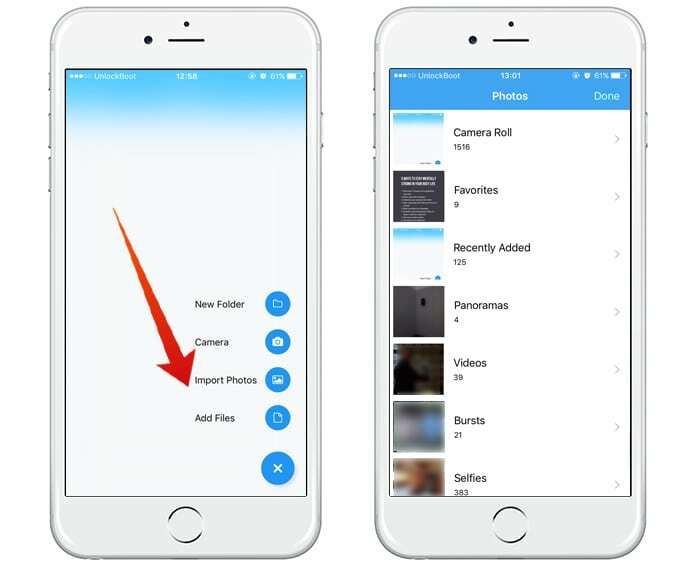 Step 4: Here you can add anything in the app like photos or documents. Step 5: You will have to click on the folder in which you want to add stuff. 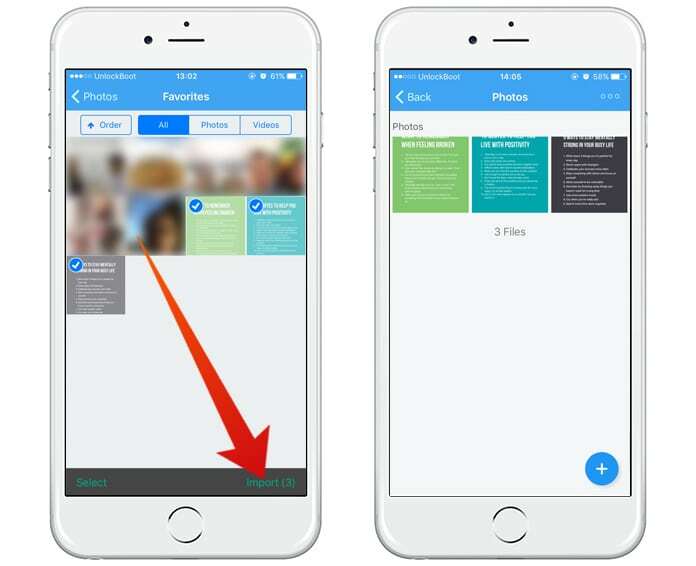 Step 6: If you want to add photos in the app for protection, click on the photos folder. Step 7: You will see a + icon on the bottom right corner. Click on it. Step 8: Now select the Import Photos from the menu appeared. Step 9: Click on OK and choose the photos you want to add in the application. Step 10: Once selected the required photos, click on Import option which is located on the bottom right corner. Step 11: The app keeps files in its own memory. If you want to delete the photos from your phone, you can do it. You can only do it after importing the photos into the app. Deleting after importing will not remove the photos from the app. You will see a menu saying Allow “Pocket Files” to remove the pictures. Clicking on Delete option will delete the photos from your phone. Now you will only be able to access these pictures from your app. After adding the photos in the app, you can set a password to protect them. To lock photos on iPhone or iPad with password, you need to setup a passcode. Follow the process mentioned below to protect your data with password. 1. Tap on the menu button on the top left corner. And tap on Settings option from the list. 2. Now tap on Launch Passcode and click on Turn Passcode On. 3. Now you will have to enter a four-digit Passcode for two times. 4. Now your files are protected, and only you can access them using the Passcode. You can also set a passcode to the folders. To do this, click on Folders Passcode from the settings option and repeat the remaining process. After adding a passcode, click on the 3 horizontal dots button on the top right corner. Click on the folder you want to lock and click on Folder Setting. Now turn Lock Folder on. You have done all now. Hence in this ways, you can lock photos on iPhone and protect your data easily.